Munster Memories is a beautiful 3 bedroom, 2 bathroom holiday apartment that can accommodate up to 6 guest. 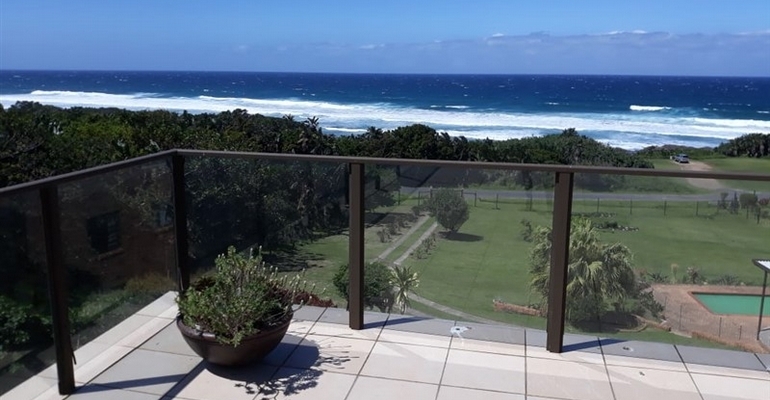 The unit has a beautiful view of the ocean and is only a short walk to the beach. This beautiful double storey unit comprises of a fully equipped kitchen and scullery that leads out to a cobbled area with 2 braais. There are 2 bedrooms and a full bathroom downstairs with a large playroom leading from the garage. The upstairs has the main en-suite bedroom, open plan dining room, guest loo. The lounge leads out onto a rooftop patio with 180 degree sea view making it perfect for entertaining or just relaxing while watching the tranquillity of the ocean. The property is very safe and secure with an electric fence around the entire property. There is a shared entrance to the garage and parking area. Maid service can be included at a very nominal fee. There is a laundromat 2 kms away. Entertainment options close by include Squash courts, tennis courts and bowling green all within walking distance.